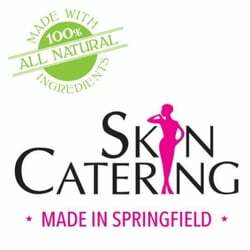 BLOG | SkinCatering Blog | …Cater To Your Spirit! I have always taken care of my skin or at least that’s what I thought. Remove your make-up daily, wash your face every night, use moisturizer, and always wear SPF. This was my typical routine. I never used a mask, exfoliator, different creams for different times of the day, and I’ve only had one facial in my life. Although I knew there was more I could do, I thought I was doing ok and certainly better than a lot of people I know. And then I started working at SkinCatering where my first day on the job included talking about marketing goals and getting my first ever mask (all while on social media). That’s when I realized I was in for quite the ride. In mid-January, I was lucky enough to join Leanne and Kim on an adventure to Chicago for the Skin Inc. Face and Body Spa Conference and Expo. Although I have been to many expos in the past, I was overwhelmed with the number of products and different variations of those products, all saying why they are the best for your skin or why they are the best for a spa service. As we walked the isles of the expo floor, it was clear how much Kim and Leanne knew about the products being represented: what ones were good or not so good, which were the ones that actually do what they say. We came home with three new items from the show which we are very excited to introduce to all of you. • The Perfectio Infrared Light Therapy is a rejuvenation therapy to help revitalize your skin, both face and body. It uses infrared light in repairing collagen in the skin and help to reduce fine lines and wrinkles and is gr eat for all skin types. • The Perfectio Sapphire Treatment is used to help with the reduction of oils in the skin and is most suited for those with acne. The blue light therapy is shown to increase blood flow and thereby, helps to naturally heal the treated skin. • Cupping Therapy may be all the trend now but it is actually an ancient form or pain therapy. This is used to help with blood flow, pain, and overall well-being. The cups we are utilizing for our new treatment are silicone which allows for them to be moved from place to place using massage techniques. As with anything, it is so important to continue learning. There are always new products and techniques that may be just right for a customer. It is up to our staff to find the items that are just right to offer, continue to learn, and stay current. And let’s not forget, there might have been a bit of fun during this trip!